Insomnia Publishing LLC., 9780986397554, 196pp. What happens when a safety app isn't enough to protect a child? Is there really such a thing as a Grechtzoar? What really is the nature of happiness? How do we quantify it? 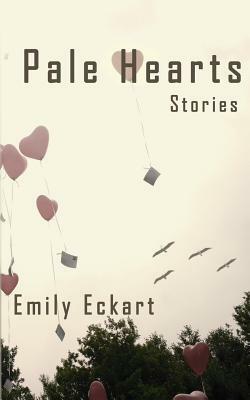 These questions and more are answered in the pages of breakout author Emily Eckart's "Pale Hearts," a collection of short stories. Emily's writing has something for everyone, and her heartfelt stories leave the reader with a sense of longing for a place and time they may never have known. Emily Eckart is from Massachusetts. Her writing has appeared in The Washington Post, Nature, Potomac Review, and elsewhere. She studied music at Harvard University. When not focused on her writing, Emily enjoys reading, hiking, and attending concerts.